All we gardeners are huddled inside in the winter weather, pouring over seed catalogs and dreaming about this season’s garden design possibilities. Garden design can seem quite overwhelming when we are staring at the garden as a whole, but the best way to simplify garden design is to break it down into smaller, bite-sized pieces. 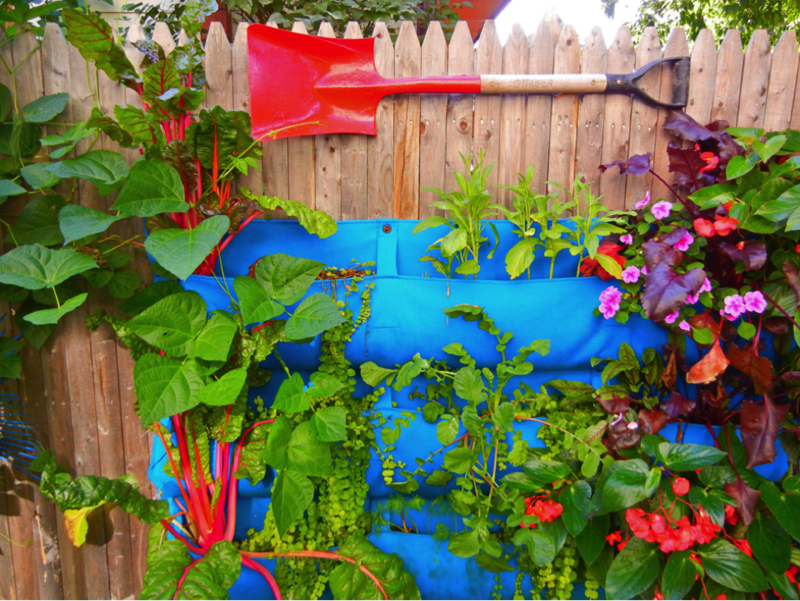 A few seasons ago I designed a shovel wall garden with crazy colors and easy to take care of plants. It was much easier to design and plant a little niche in one afternoon, rather than planning and designing an acre of property which would take me weeks to plant. Here you see a small section of the garden I designed. I mixed in ornamental edibles with other shade plants to provide an edible solution in a small space. Plants include Swiss chard ‘bright lights’, impatiens ‘patchwork lavender’, begonia ‘dragon wing red, beet ‘bull’s blood’, and Lysimachia ‘nummularia aurea’. Consider substituting New Guinea impatiens in your area if you are having trouble with downy mildew. Surprise garden visitors with your creative niche designs; think small and simple in order to make a big statement.